"Cottage Garden" Too adds so much more to your creative options when creating with this beautiful digital kit! Imagine having only three flowers to make a floral arrangement with....now imagine having 13 flowers...see what I mean? 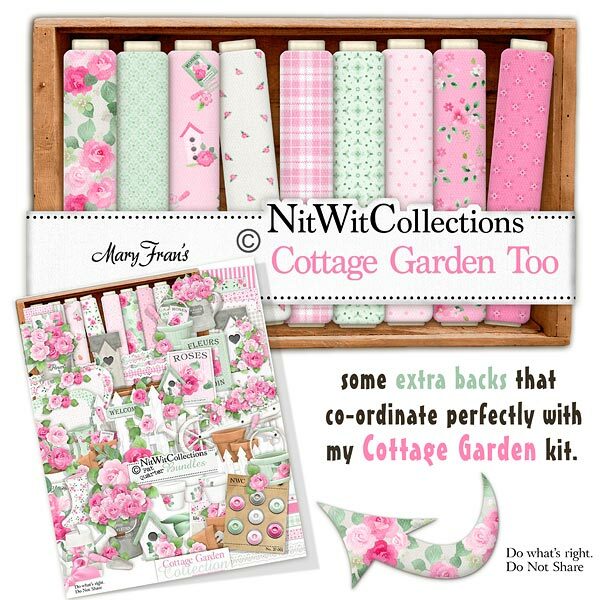 !ha,ha These background papers are NOT included in the FQB "Cottage Garden" Collection, so please don't miss out! 17 Digital background papers that coordinate and colour match my FQB "Cottage Garden" Collection.